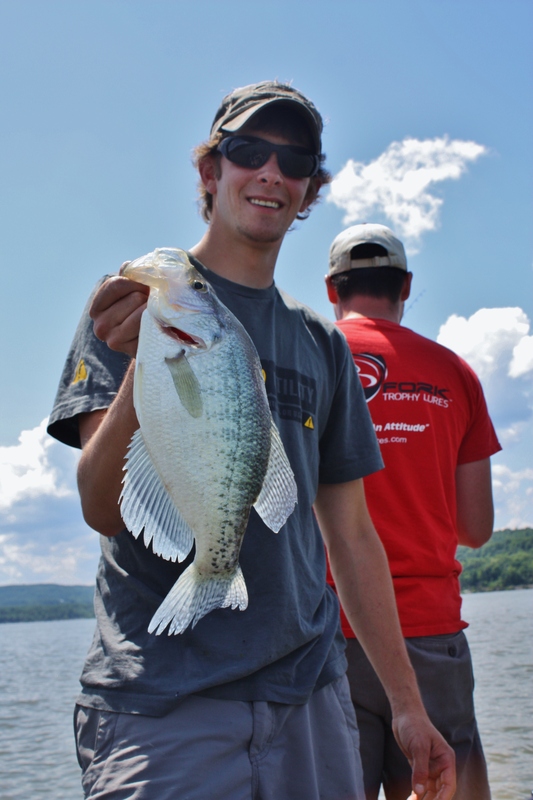 One week after a full moon = go crappie fishing. Everything about this trip seemed right leading up to it. Along with our buddy Mark, we loaded the boat around 8 am with plenty of snacks and drinks and headed back to southern lake Champlain. 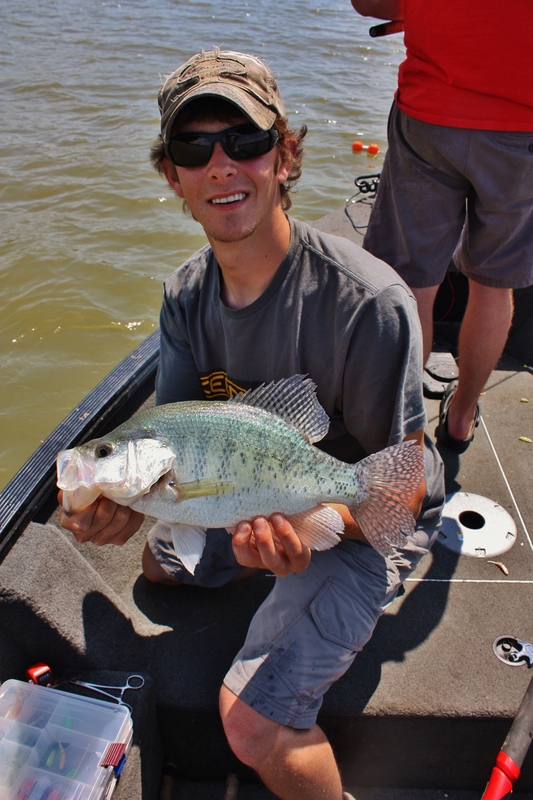 The theme of the day was “click it” on the counter, which is what we said each time we put a crappie in the boat. The strategy for today was simple, fish structure. It took us a little while to get dialed in but once we did it was pretty much non stop catching for the three of us. While the plastic bite was good, the interesting part of this trip is that we figured out a little way to prolong the bite once the fish become conditioned. 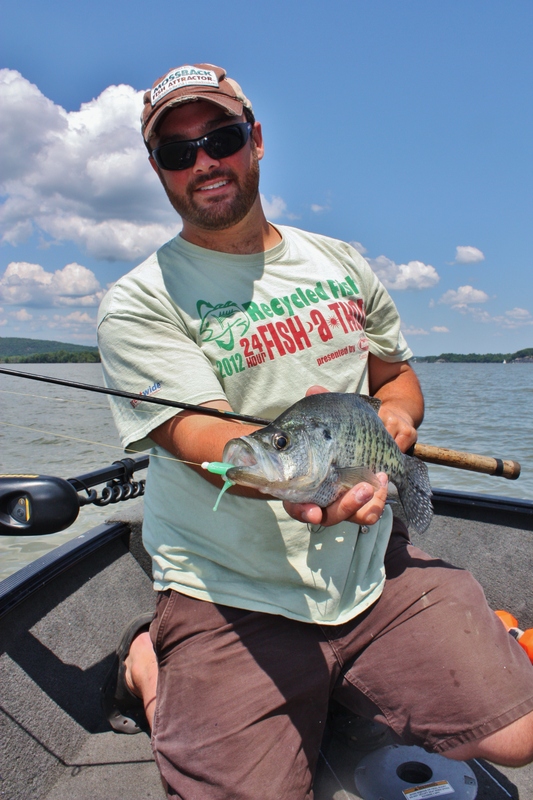 We’ve seen plenty of shows and articles on trolling small crank baits for crappie but we tried our luck at casting them. 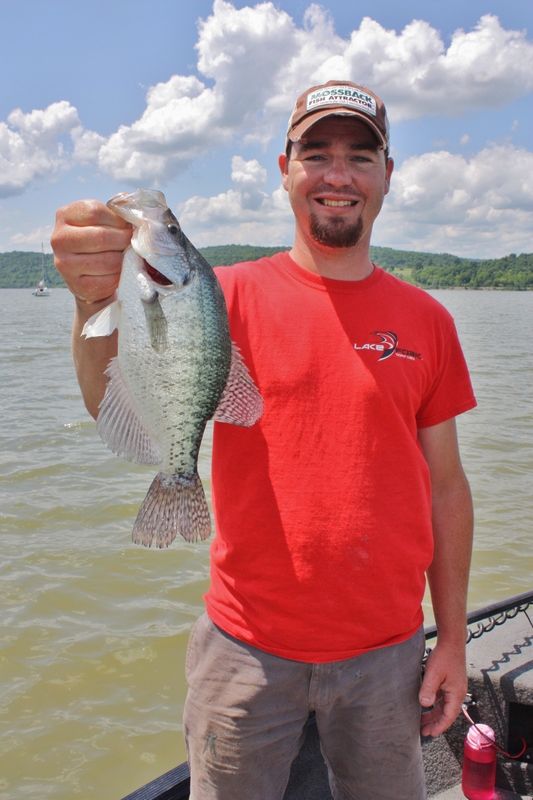 After the plastic bite tapered off at each spot, tossing a small crappie crank bait made by Arkie Jigs made the difference. Being on the small side, we were able to rip the bait right along side and on top of the structure we were set up on with very few, if any snags. 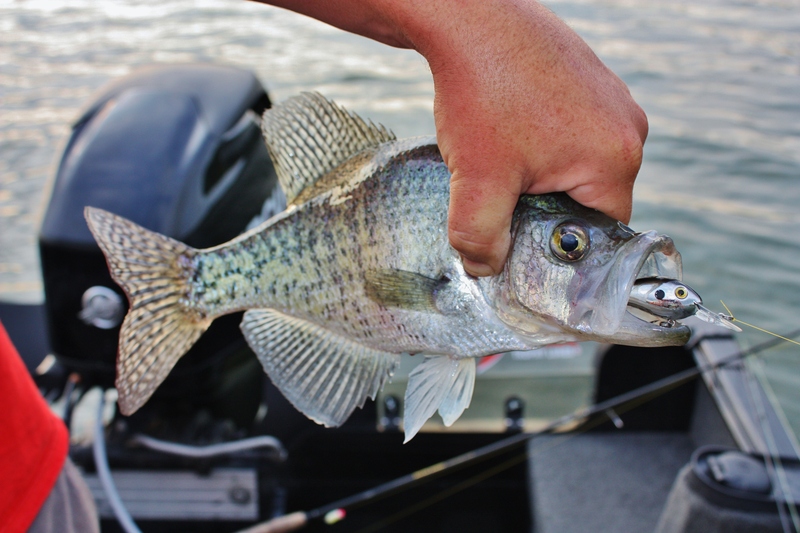 They were also very useful when the fished decided to take a “lap” off the structure which crappie seem to randomly do. 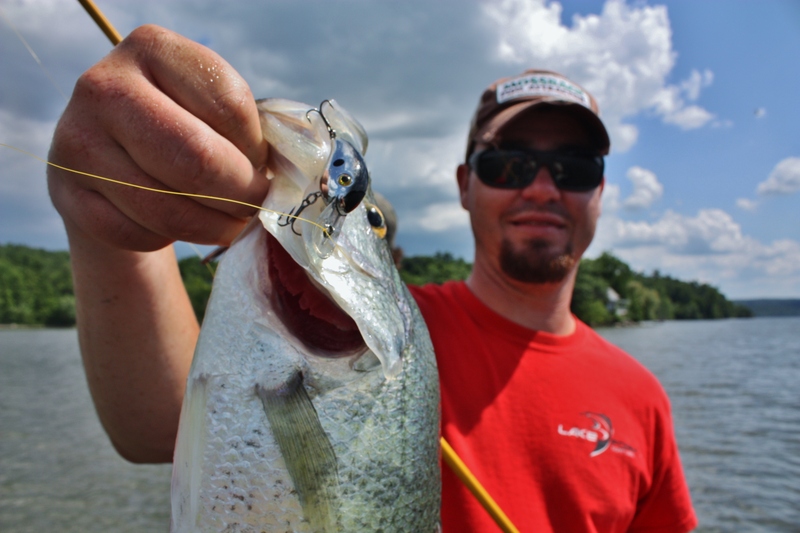 The crank bait allowed us to locate the fish from a greater distance than a jig. While most colors worked, bright plastics and shiny cranks were the best bet. 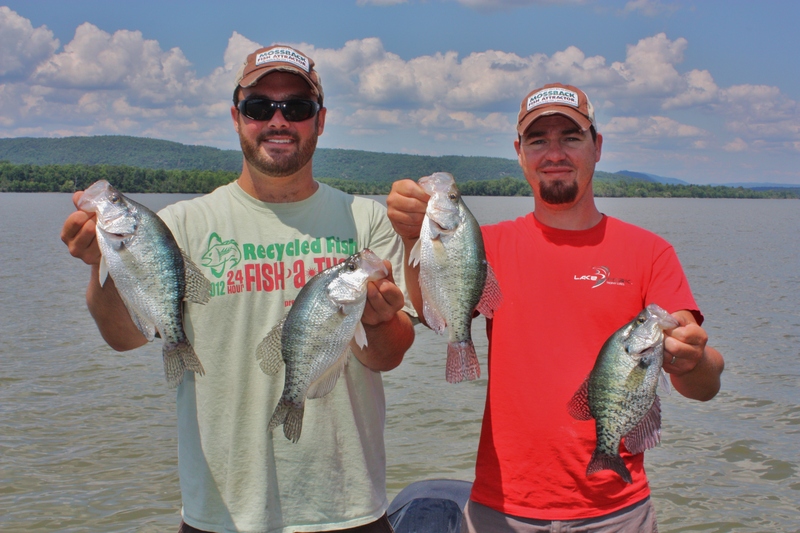 We finished the day just shy of our goal of 238 with 222 crappie put in the boat and released. A large majority of those fish being keepers. It was refreshing to learn something new as it becomes easy to get stuck doing the tried and true over and over again. Remember, next time you’re out on the try to switch it up every once in a while to put more fish in the boat.